Awww...I'm sorry you're so hard on yourself. It really is difficult to not be hard on ourselves. I do the same thing. I always wish I were more confident, more outspoken, or stronger (mentally and physically). What has helped me is to tell myself that I love myself and that I'm worth it. I know it probably sounds silly, but I'm used to being so negative with myself that something as simple as complimenting myself boosts my self esteem. I'm very guilty of this too Launna. I'm much harder on myself than I need to be. My anxiety stems from "what if", and I always worry that I can't handle something. Yet when difficult things happen, I tend to do better than I thought I would. Dear Launna, I think that you have been hard to yourself. However is difficult to change. As time passes by I have become more tolerant to others and also to myself, because I learnt that I was good to people that hurted me. Then, I said, stop. This situation has to change. Now I'm much happier and don't think much about others' opinions. I wish you the happiest Christmas in advance. Not worry at all Launaa,if life has been hard then we can make oursleves happy by our good will.Just take the things as they come, have a happy time all the way. I agree, people who get through a rough patch and get right back on top of things are very inspiring. It often baffles me where people find the strength to stay so positive and stay so full of hope. So sorry, but You Have been hard to yourself.... take it easy and think positive!!! Have a Great x-mas week My lovely friend! Overcoming self judgement is a biggie. I struggle with this. When I come up short I tend to beat myself up. Overcoming this habit is essential in becoming who you can be. This is a great blog post Launna, and you've raised some really interesting points. 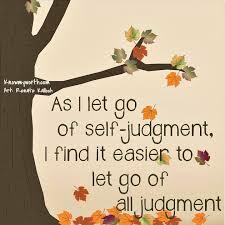 I wonder why we find it so hard to let go of self-judgement, and have a hard time letting go of past mistakes. Even though we may have a tendency towards this, the very fact that you're asking these questions, is a step in the right direction. Being positive about ourselves can be hard at first, but like other things, it can become a good habit that starts feeling more natural with time. This is lovely, Launna! You can really bring out the happy optimism in life...good for you!! I like your raw honesty about how you used to judge others, that your assessments were black and white...no grey area... but then you realized changes and the acceptance of grey areas as you gained more life experience. I think that happens to many of us. And for those that do not gain acceptance and continue being judgemental, are probably not very happy people. Thanks for your thoughts!! Have a great week! semana abençoada para você e FELIZ NALTAL. Being friends with yourself is so important. As much as I feel crappy...pretty much all the time these days, I am friends with myself and my internal dialogue is not harsh or negative. I am nice to myself. It doesn't make life change for the better, but it is still important. Loving yourself is the first step. It opens the way to having positive thoughts, and those good thoughts lead to having good things happen. Have a Merry Christmas, Launna! I totally agree on what your friend said, Luanna! We are enoug for ourself, and that's all! I think you think too much on things and people: maybe this is your carachter and it is right, but for me it's much more essential be focused on what we are doing righ now and and our goals, judgements and overthinkng are just loss of time! Don't be so hard for yourself Launna. It's like what you said, sometimes it takes a long path, but everything is going to be alright! Always! Launna, I believe authentic self-love and self-acceptance are the best gifts you can always give yourself. Everybody has their own trials: some get more whilst others go through very little. From the day I accepted my strengths along with my weaknesses; I realized how best I started controlling my life and people in my life. It's definitely not easy, but once you know yourself (in every way) better; you don't have to judge others- rather focus on your areas of improvement and self-development. But you are the example of what "being strong and hopeful" looks like. Don't develop anything negative about yourself. Wishing you a Merry Christmas and a Great Year ahead! Great post, Launna. 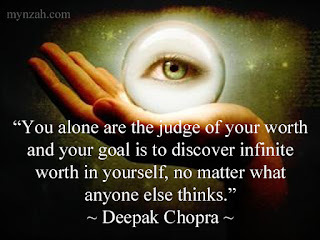 I think most of the time we judge ourselves more harshly than we do others. It's hard not to be critical of ourselves, but we know ourselves better than anyone else, so we know all of our faults and struggles. Beautiful. We need to love ourselves more and not be too highly critical. May we remember this at all times especially in the years to come. Happy Christmas! Hope you are doing great. It’s a big step to just be able to look in the mirror and love what/who you see inside an out. That’s a hard one to master. I’ve been there a few times in my adult life and that’s a great start when you want to move up and out from whatever is holding you back. Hi launna, ummm.. i know every body has problem and self judgment is not the way for solve the problem. 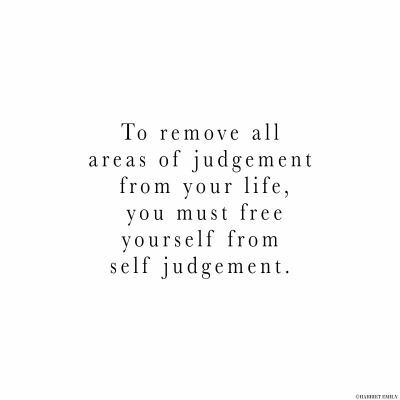 And for judgement other is big no no no.. dont to be hard for yourself dear. Just love our self and and try to love the other. Every thing gonna be allright. Hmm...I'm actually the same in this sense, Launna. I'm extremely hard on myself and I get extremely frustrated with myself if I don't do something right or if I don't get things the way I want them to be. 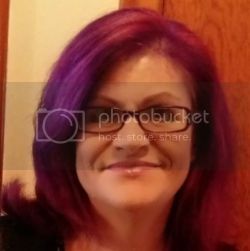 Before I met my husband, I don't take compliments at all, I have zero nice things to say about myself and my husband then boyfriend forced me to attend therapy because of it. From there I found out that I had zero self esteem and the way I was extremely critical about myself was stemmed from my childhood, the way I was brought up. It was a long road and many sessions of therapies but I'm in a better place now. Every now and then my mind still goes back to a very dark place but I manage to snap myself out of it. We all judge ourselves in a way, but I think there is a difference in doing so, accepting ourselves, and making changes in the areas we don't see are helpful. I think self awareness is what I like to call it. Yes I do agree that what you think of, you attract! I believe in the power of attraction to the fullest. Have you read The Secret? That book has made and continues to make a positive impact on my life. Great read and mind opening! Have a wonderful Holiday celebration Launna. Oh Launna... I'm sorry you're so hard on yourself, I think that the self-judgment is a such a stealthy habit to get into. Don't be hard on yourself...where there is will, there is always a way! All the best! Passando para ti desejar FELIZ NALTAL PARA VOCÊ E FAMÍLIA. we can be hard on your selves sometimes which is a bad habit. If we are not kind to ourselves then who will? Merry Christmas dear Launna. Love the idea this post! Just followed! Don't worry... everything is going to be all right!!! I think self judgement is important. And we also need to take other's compliments with a lot of reason. Some people just toss them aroun without any real meaning. I'm not saying it's bad to give kind words to others, but when compliments are not constructive, they might only dazzle us and make us no good. I hope you have a lovely one. I remember how my mother used to be about gifts from relatives. I guess that is where it started for me, listening to her frustration of how others gave gifts and what you got. She was never satisfied. So I always felt..I have to give more. I know she'd want me too. This included giving to people I never got anything from. And yes, there was that resentment..that panged me just as much as it probably did her. Recently, a friend told me ..just be that useless friend. Don't even think about what you might get in return. And I know she's right. And well, this year, I feel as if I'm forging on..trying to put on a Christmas dinner, the best I can. And yet..trying not to worry about it either. I hope you have a great holiday with your family, friends and loved one! All the best to your writing! Aquele creme é muito bom. Acredito que julgamentos só funcionam quando são positivos! Será que estou errada? True Words Launna, i also love the Quotes! You are right. We do no need to judge ourselves. Thank you for making me realize this. I wish you a very happy time for the Holidays and wish that all your dreams come true. I am so guilty of this too but as I get older I am cutting myself more slack. I know I always judge myself way harder then I do others. 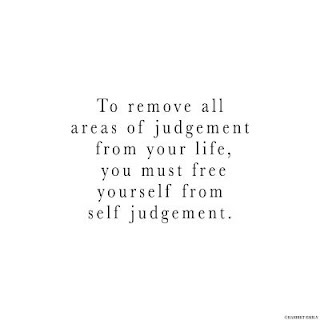 That's a problem... we are so pre-occupied judging ourselves, mostly the negative aspects, that we stop just living life. Merry Christmasmy lovely friend to you and your family! Exactly, cant judge others and not even ourselves even though it is tempting to compare ourselves to others and compare our old selves with the coming of age/wisdom age that we are growing into. We just have to live one day at a time, working on ourselves and also accepting who we become, in a good way! I try not to wear my heart on my sleeves. I have a tendency to dust it off and move on and not dwelling actually helps me pull through a lot of sticky situations. But yes people are quick to judge without knowing the circumstances of others. If only they'd me more sensitive to other peoples feelings, the world would be a better place. You did that when you were younger but youre older and know better. What's that saying- when we know better we do better. Some people know better but still thrive on being very judgemental towards others. I love what your friend said and I believe in it. We are enough, always have, always will. I love that last line. Who am I to judge myself? So true. Merry Christmas Launna. I don't judge anyone anymore. OR I should say I do my very best not to do so. Like you said, we're all going through something. AND AND AND!! THe whole reason I came over was to say I hope you had a wonderfullly nice holiday! My best wishes to you at this special time of year, and although a little early Happy New Year Wishes to. I really love it and amazing information about the recovery it's really good and great information well done.